A CURRENT deputy mayor is being accused of collecting three local government salaries. 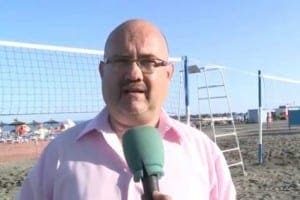 Former mayor of Velez-Malaga Francisco Delgado Bonilla has accused Torre Del Mar’s Jesus Atencia of the triple whammy, him being a councillor, a local government member and taking a ‘permanent disability pension’. 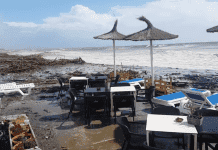 Delgado slammed the GIPMTM (Grupo Independiente Pro Municipio de Torre del Mar) politician, claiming he receives €1,500 gross each month from the town hall on top of his benefits. It is the latest chapter in an ongoing feud between the two since Atencia accused Delgado of nepotism for employing his own cousin at the town hall. “He is the one who has to explain himself, not me,” said Delgado. It is not the first time Delgado has tried to call out rivals for ‘squandering’ public money. 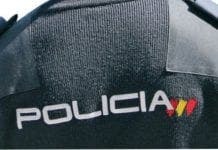 He accused his IU predecessor Salvador Marin of wasting €600,000 on ‘breakfasts, advertising and concerts’ in 2012. In fact, Delgado himself ‘lost’ €1 million of Junta money when in power in 2012 after he scrapped plans to build a conference centre.